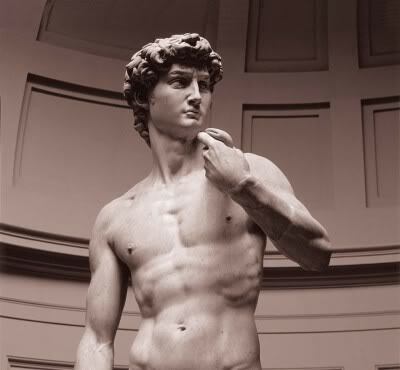 Perhaps the greatest sculpture ever created is Michelangelo’s statue of David. This seventeen foot tall masterpiece was fashioned from a block of marble that had been rejected by all other sculptors of his time. As the story goes, a previous artist chose the enormous piece of rock, then began his project by drilling a hole through the center. He chipped away a great deal of the marble from the front and back of the hole before abandoning his project and leaving the huge pieced hopelessly marred and completely unusable… or so all the other artists who saw it thought. Michelangelo ignored the assessment of his peers and saw the beauty and potential that lay beneath the surface appearance. After he selected this stone and began work, the legendary sculptor brought forth his breathtaking piece in only 18 months! While we can anticipate the finished work the Lord promised to do, (Phil. 1:6) we can’t jump to the end. The actual process of polishing and refining can be lengthy and painful. He selects difficulty, trial and hardship as His main tools for chipping away the imperfections that keep an accurate representation of Christ hidden. But remember, He directs the sharp chisel of disappointment, pain and loss in specific blows with the intention of revealing something no one but the Lord can see. While we may be tempted to resist His work, and even wonder if His instruments will destroy us, if we can be patient and trust His skilled hands and loving heart, in time, the glorious image of Christ will emerge. so that you may be overjoyed when His glory is revealed. We are thankful God can see beyond our imperfections. Thanks for reminding us. Praise God He cares enough to keep sifting away!